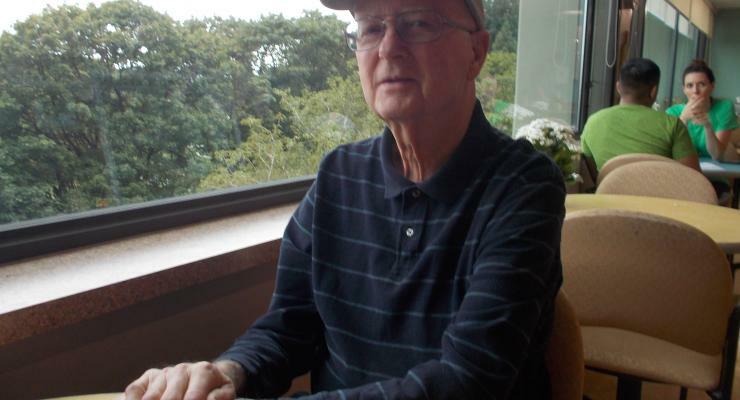 Ask Larry McLaughlin why he volunteers in Terwilliger Parkway, and he’ll say he just likes to feel he’s accomplished something worthwhile. 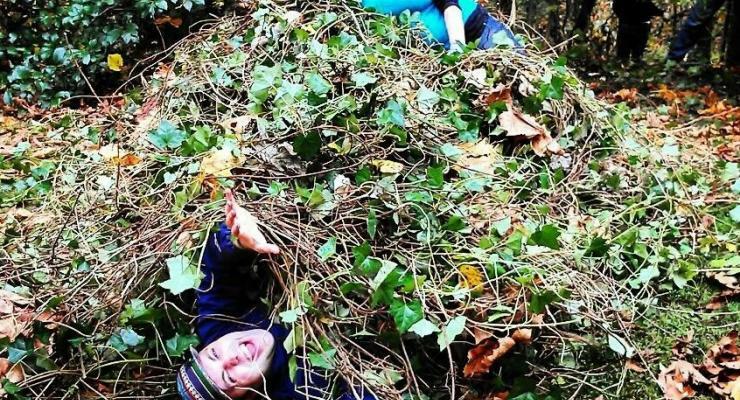 Friends of Terwilliger volunteers have spent thousands of hours over the past 23 years removing invasive vegetation in Terwilliger Parkway. Perhaps chief among the bad-news invasives is English or Irish ivy. We all know what it looks like and that it is Bad—but what is it, really? 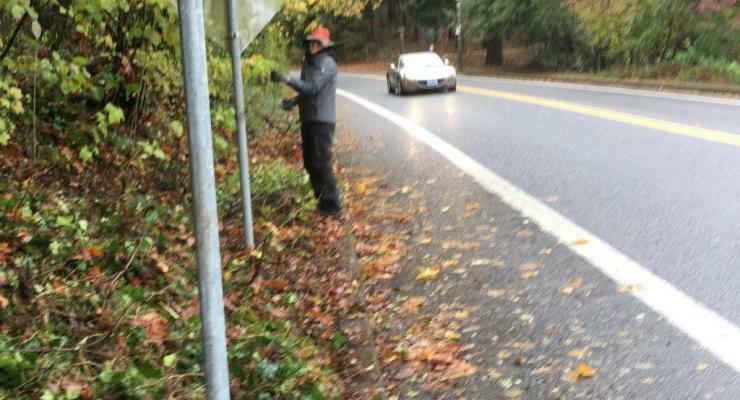 With a few good workers, Friends of Terwilliger was able to rid the Terwilliger Parkway of more invasive plants. 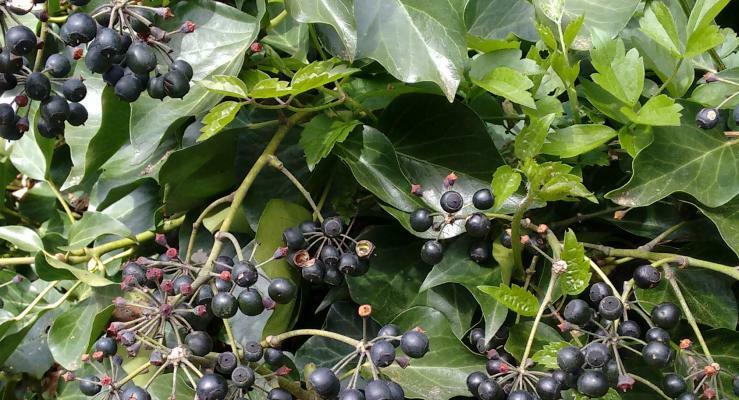 English Ivy (Hedera Helix) was brought to Oregon in the mid-1800’s as a way to remind early settlers of home. What started out as an innocent plan has come to represent one of the toughest problems Portland’s natural areas face today. It now invades more and more of our parks and will ultimately destroy our cherished tree canopy unless we remove it now. By allowing ivy to grow unchecked it will climb trees where it will mature, produce seeds, and continue the “seeds of destruction” by being transported by non-native birds. 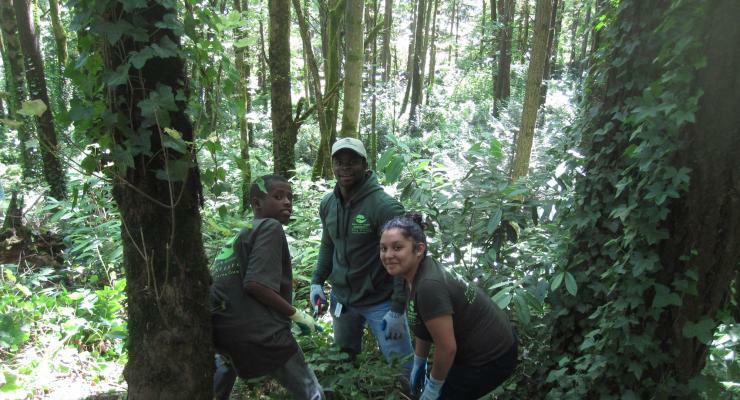 Twenty years ago, we began partnering with a Multnomah County program called Alternative Community Service (ACS) for on-the-ground restoration efforts in the Terwilliger Parkway natural areas.